Help Documents - Version 5 Group Registration SetupWhere do I access group registration? 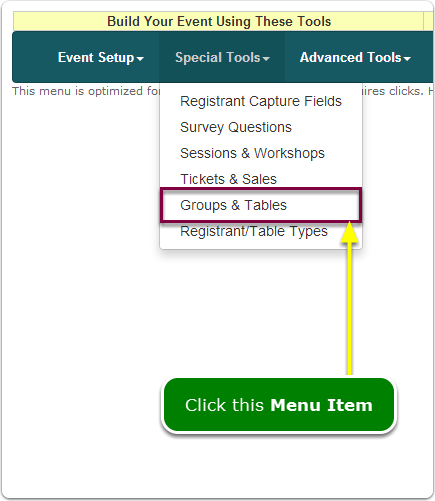 Click the Groups and Tables button. Group Registration and Banquet Tables are mutually exclusive tools; only one can be used at a time. Prev: What is Group Registration? Next: How do I turn on Group Registration WITH Group Codes?